A COUPLE of blog postings ago, Café Pacific observed about the ongoing Ratu Tevita Mara media circus: "This entire saga has all the hallmarks of a carefully orchestrated virtual internet coup. At least, of the propaganda kind. One virtual coupmaster getting one-upmanship over the grand coup master." And a case of one of dictator Voreqe Bainimarama's key military henchmen trying belatedly to save his skin. But the YouTube led publicity campaign from the safety of Tonga poses a series of questions that mainstream media don't appear to be asking. 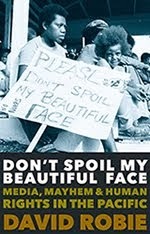 Who are the media minders behind Mara massaging his military message and what is their agenda? Why are things being taken at face value? Where is the evidence backing up Ratu Tevita's sweeping allegations? And why is the anonymous, unreliable and unethical website Coup4.5 suddenly being taken as a credible news source by some mainstream media? One prominent Fiji journalist sums up the views of several by telling Café Pacific: "Definitely a very suave team is guiding [Mara], directing what he says and his answers to questions. They are also directing his statements and allegations so that it comes in intervals every 2-3 days to sustain and feed the media frenzy." Come clean, Ratu Tevita: Who really assaulted the women? The headlined accusation "Bainimarama beats women" is the latest statement by Ratu Tevita that has been reported - on trust - by the international media. He promised us that all would be revealed over time but for the moment he is releasing one small story after another that keep the media in titivation mode. First came the release in which he said he was rescued on a fishing trip that went wrong and he'd fled because he wouldn't receive a fair trial. This was followed by the statement that Banimarama laughed at the idea of elections, and that no elections would be held in 2014. We then heard that Bainimarama was taking his orders from Aiyaz Sayed-Khaiyum, a view earlier reported by the blog Coup4.5. He then accused Bainimarama and Sayed-Khaiyum of corruption and said Bainimarama's salary, paid by Khaiyum's aunt’s accountancy firm, was $700,000 a year. Much of this story was also earlier reported by the blog. This was followed by general accusations of torture that he said he witnessed, and for which he now apologised, but in which he played no part. He said a small "hit squad" carried out the torture, presumably on Bainimarama's orders. But he was the commanding officer. And now he claims Bainimarama hit three "pro-democracy" women — Visili Buadromo, Jackie Koroi and Laisa Digitaki — at the Queen Elizabeth Barracks just before Christmas in 2006. He says that Bainimarama's son was the other officer who hit the women, and made the point that Bainimarama only hit women; he never saw him hit men. Coup 4.5, Michael Field and others have now taken up the "Bainimarama hits women" story. I have little doubt that the general outline of the story is correct. The coup had only just taken place. The situation was unstable, and there was active opposition from a small group of "pro-democracy" activists, including the three women, that was enthusiastically reported by the local and international media. The military was unsure of its position and sought to silence opposition by intimidation. Not nice, but over-reaction is not unknown even in democracies, when the established order is unsure of itself. But here the details become hazy. Ratu Tevita says people had always thought it was Pita Driti (charged earlier this month for sedition - together with Ratu Tevita - and attempted mutiny) who beat the women. But he was there and saw what happened. It was not Driti, he said, but Bainimarama, dressed in brown overalls with no military insignia, who started the attack, joined by his son. He said it was dark and all that could be seen were silhouettes. But afterwards, not one of the women mentioned Bainimarama or his son. 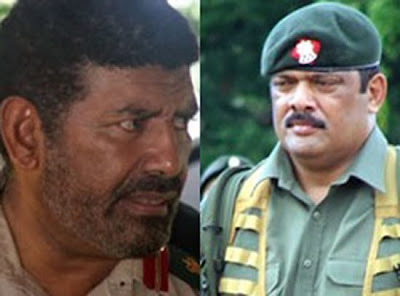 They maintained it was two other officers, Pita Driti and Ratu Tevita. Laisa Digitaki said she recognised Driti's voice, and both she and Visilia Buadromo told Human Rights Watch, probably the world’s leading independent organisation dedicated to defending and protecting human rights, that they were assaulted by Driti—and Ratu Tevita Mara. Why, only now 4½ years after the incident, do we hear Bainimarama's name mentioned for the first time? Apart from the obvious purpose of smearing Bainimarama, is it possible that Ratu Tevita is also trying to cover up his part and Driti's part in the assault? These are the sorts of questions the media should be asking him before they take his word on trust. They should be asking how he has so much knowledge on so wide a range of topics. I doubt he can have witnessed all, and his statements can be no more reliable than his sources, which —other than Coup 4.5— he has not revealed. The media should ask him about his sources. They should also ask what's happened to the documents he said he brought with him on the boat to Tonga that he said would prove what he said. Did he show them to Barbara Dreaver when she interviewed him soon after his arrival in the old British Residence’s house in Nuku'alofa? Did she ask to see them? Has anyone seen them? Has anyone thought of asking to see them? He now says he's thinking of making a statement to the UN about human rights abuses in Fiji. For this he will have to rely on more than the prompting of Coup 4.5. He will need the documents. Otherwise, on this issue at least, it will be his word against those of the women who said he assaulted them— and not Bainimarama. Freedom of the press on Fiji? You’re joking! I RECEIVED an email from Claire Trevett, deputy political editor of New Zealand's largest circulation newspaper, last Monday. “I read your very good analysis on the Ratu Tevita situation and I was hoping to speak to you at some point today to get some comments on the developing situation,” she wrote. We spoke for a while that afternoon and last Wednesday the New Zealand Herald published her story NZ may yet admit Fijian fugitive. It reported two comments contrary to those typically published by the NZ media recently. 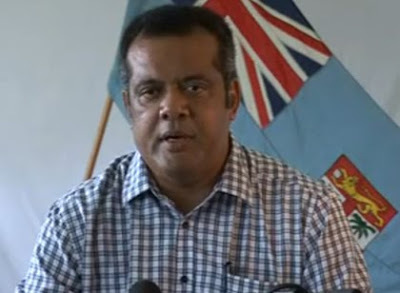 Fiji Solicitor-General, Chistopher Pryde was cited as rejecting claims that LtCol Mara would not get a fair trial in Fiji, saying there was no interference by the government in the courts' decisions. And I was cited as saying the situation was embarrassing for the commodore but I believed Ratu Tevita's actions were “ personal and the issue would subside quickly. We all know Fiji is divided,” I said, “but I don't really think Ratu Tevita can split the military from Bainimarama." At long last, I thought, a factual article with opinions from people of differing views, leaving readers to form their own conclusions. My faith in the NZ media went up a notch, but it was not to last. On Saturday, the NZ Herald editorial announced "Dictatorship's hold on Fiji is crumbling". I have no idea who actually wrote the editorial. The Herald does not use bylines and has several editors. The most surprising thing about the editorial is not that it swallowed and echoes Ratu Tevita's story but that it provided not one shred of evidence to support the claim in its heading. We are told that Ratu Tevita's flight “shows that resentments now boil within the regime,'” and, to take the words from the horse's mouth, that Fiji is a "hateful dictatorship;" the PM is “ill, morally and intellectually bankrupt", and acting as a "hand puppet" of Fiji's civilian Attorney-General, Aiyaz Sayed-Khaiyum, and that Ratu Tevita's YouTube video “also targeted those still serving in the armed forces". We are told Ratu Tevita was "arrested" before fleeing, and the arrests were “not reported in the censored Fijian media.” In fact, the State Prosecutor asked for his arrest after he appeared in court on May 4 on a charge of sedition because he thought he (and the other accused Brigadier-General Pita Driti) were flight risks. But the judge (who, we have been told, is not independent of government influence) disregarded the prosecutor's request and granted them both bail. We are told that Bainimarama thought himself betrayed because Ratu Tevita and Pita Driti “had given advice to their commander on how to soften the regime's approach to public dissent.” This is Ratu Tevita's uncorroborated story, and the sedition charge was quite unrelated to this “advice,” if indeed it ever took place. We are told that “Fiji has predictably dragged out allegations that the formerly trusted colonel is being investigated over missing funds from Fiji Pine.” When, in fact, the allegations were around well before he fled. They had even been mentioned on the anti-government blogs. And, finally, we are told “a leading Fijian Establishment military man is calling things as they are” which leaves me wondering if the NZ Herald invited Ratu Tevita to ghost write the editorial. As for the heading, the “Dictatorship's hold on Fiji is crumbling,” even one small shred of evidence would have given the story some credibility. This is the is the state of my country’s reporting on Fiji. Who said elections would not be held? The Fiji government, as in the first quote, that has “no plans” to hold elections? Or Ratu Tevita, who thinks they are “unlikely”, as in the second? Readers could well think it was the government, which it was not. And since when have “Australia and New Zealand been “pushing for elections …in 2014”? They have always called for elections before 2014. I’d like to think Tamara was in a hurry and did not check her story, but there have been so many similar inaccurate and misleading reports on Fiji lately that I have to wonder. Retired New Zealand academic Professor Crosbie Walsh was founding director of development studies at the University of the South Pacific and lived in Fiji for more than eight years. 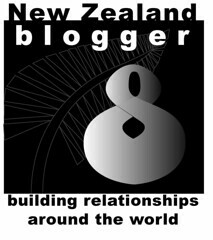 He publishes a specialist blog on Fiji affairs. FUGITIVE colonel Ratu Tevita Uluilakeba Mara has certainly tossed a proverbial cluster bomb in the kava bowl. His flight last week from Fiji to Tonga after being charged with sedition in the alleged mutiny plot on May 4 doesn’t check all the usual boxes of a human rights case. Fishing trip gone wrong? Yeah right, Roko Ului. 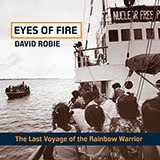 How come the so-called distress signal was picked up by the Tongans, but not by Maritime New Zealand, Fiji authorities or the patrol ship HMNZS Otago deployed near by? And how come Roko Ului was seen staying at a Kadavu resort the evening before his "rescue"? Escaping from the corrupt justice system under the “hateful dictatorship” that would not allow him to defend himself? Yeah right. That’s why he was in a civil court and freed on bail. Incidentally, why no court martial in this case? And why leave fellow accused Brigadier-General Pita Driti (charged with sedition and attempted mutiny) to face the music? The Otago Daily Times in the best editorial on the affair rightly honed in on the self-interested aspects of this case. Roko Ului left Fiji without a shred of help? Yeah right, cyberspace solidarity. No, this entire saga has all the hallmarks of a carefully orchestrated virtual internet coup. At least, of the propaganda kind. One virtual coupmaster getting one-upmanship over the grand coup master. Plus a touch of Indo-Fijian bashing with a racist attack on Attorney-General Aiyaz Sayed-Khaiyum. But is it really as credible as it is being portrayed in the media? At least, the supporters of the SDL now have upper hand in the propaganda war, just when the initiative seemed to be slipping relentlessly towards military dictator Voreqe Bainimarama’s side of the stand-off with Australia and New Zealand. The defection of Mara, the youngest son of Fiji's founding father Ratu Sir Kamisese Mara, who was ousted as president during the George Speight attempted coup in 2000, is a blow to the regime. The implications for the Military Council are serious. A remarkable aspect is how long it took for this story to take off in the New Zealand media. Another Pacific reporting coup? Only two news outlets were carrying the story of Mara’s YouTube bitter attack on the regime and news of his “escape” to Tonga last Saturday evening – Fairfax's Stuff.co.nz and Pacific Scoop. It took the best part of another day – a Sunday, with skeleton staff on duty at many media outlets - before the news gained mainstream media traction after Bainimarama had branded the escape “despicable” and confirmed Mara was under investigation over an alleged $3 million missing from the Fiji Pine Board. [Bainimnarama] has accused me of being under investigation for the disappearance of $3 million from the Fiji Pine Board. These are the desperate attempts by a mentally and morally bankrupt man to smear the Mara name. There is no truth to the allegations. In fact that money went missing long before I became chairman of the Fiji Pine Board. And it was under my chairmanship that the loss was discovered and it was I who made it known to the authorities. All of this is recorded in the minutes of the Fiji Pine Board. The influential New Zealand Herald seemingly never bothered to have one of its staff cover the biggest South Pacific story of the year so far when it first unfolded. Instead, a workmanlike like downpage story was published on page 3 in Monday’s paper from the German newsagency DPA reporting from Wellington. While deputy political editor Claire Trevett did eventually get in the act with a story for Tuesday morning’s paper, she cited the anti-regime blog coupfourpointfive, which has little credibility as a source and was this week exposed for its “outlandish” smear tactics against leading academics and journalists whose commentaries it doesn’t like. Today Trevett followed up with a story describing Professor Crosbie Walsh, a usually well-informed publisher of an independent blog specialising in Fiji affairs, as a “qualified supporter of Commodore Frank Bainimarama's stated goals for Fiji”. Hello? 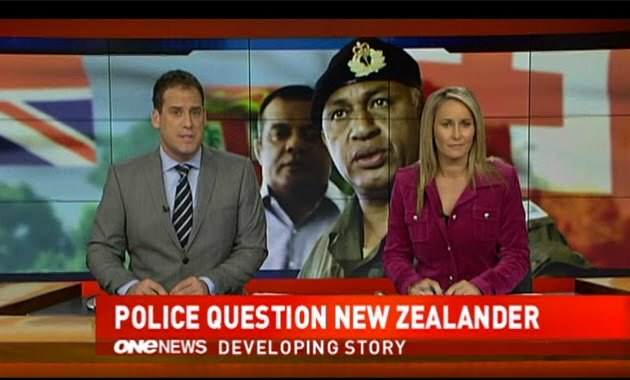 Roughly 90 percent of commentators and sources about Fiji used in the New Zealand media are pro-SDL or supported the old corrupt “democratic” regime of Qarase, or are plain biased. And yet their lack of neutrality is never “labelled”. Jon Fraenkel is entitled - like anyone else - to oppose any resumption of Australia’s ties with Fiji. But he is not entitled to misrepresent those who oppose his own hard-line stance. To cast me as “an Australian-based supporter of the Bainimarama regime” is clearly designed to discredit me by casting me as an activist and polemicist rather than as an independent journalist and commentator. The record shows that I have variously described Frank Bainimarama as “wilful”, "obstinate" and "intolerant of dissent" , criticised his suppression of the media, the continuing state of emergency and the reappointment of his brother-in-law as head of the navy. Hardly unqualified support. What I have done, quite legitimately, is to point out Bainimarama’s multiracial agenda as opposed to the racism of the government he deposed and his pledge to hold truly democratic elections in 2014. I have argued for a resumption of Australian links to Fiji to help achieve those goals and to forestall its growing links with China and the threat that poses to the geopolitical balance in the region. That is also the basis of the Lowy Institute's change of heart on Fiji, so I am hardly alone. The Fiji propaganda wars are as murky as ever. But when the dust finally clears from the Mara storm, extradition or no extradition from Tonga, some of Bainimarama’s domestic support will certainly have eroded. IN THE wake of the terrorist attacks on the World Trade Centre in New York on September 11, 2001, the remote Central Asian state of Kyrgyzstan proved itself a key ally in the United States-led war on terror. A US military installation with a fluid identity (now Transit Center at Manas, formerly Manas Air Base and unofficially Ganci Air Base), has been a fixture on Kyrgyz soil since December 2001, providing a strategic refuelling and transshipment hub for the conflict in nearby Afghanistan. But, as Chris Rickleton files as part the special Global Voices report on the US assassination of Osama bin Laden, in Kyrgyz society, Washington's presence in the country has often been viewed ambiguously. 9/11 conspiracy theory organisations such as Zeitgeist, have won widespread acceptance among the mainstream population. “Truthers" emerge in the form of taxi drivers and night club security personnel, who seize on foreigners, at pains to explain the scientific limitations inherent in pancake theory and the Rockefeller dynasty's sordid role in the attacks. It comes as no surprise then, that the reported death of Osama Bin Laden, the popularly assumed mastermind of the attacks themselves, was treated by many Kyrgyz bloggers - and some politicians - with a sense of apathy and even cynicism. In an article on local citizen media outlet kloop.kg [ru], senior public figures in the country revealed their doubts over the actuality of the shooting, and even Bin Laden's prior existence as a bona fide human being. Sheradyil Baktygulov, an independent political expert argued [ru] that “Perhaps the death of [Osama Bin Laden] actually took place, but more likely it's a conspiracy.” A member of parliament for the parliamentary faction Ata-Meken, Karganbek Samakov went further, expressing [ru] his opinion that Bin Laden was a “fictional character”. But amidst the whirl of rumour and conjecture, more serious attempts have been made to place the event within the context of the Central Asian region's ever-deepening human rights morass. Many activists around the world fell under the definition of “terrorist” because they wanted change and wanted to speak about it peacefully and in an alternative way, many people fell under this definition because they were not born [in a certain place], because they have such a colour of skin or they don’t belong to such a religion, or simply have the suffix “stan” in their passport. strengthened a hierarchy of admissions - who does and doesn't deserve to go to such and such a country, permitted [processes of] selection and discrimination within the citizen body and controlled access to various resources (economic, political, social, cultural). “Terror fatigue” has become prominent in Central Asian societies as ruling elites habitually invoke the “T word” to justify human rights atrocities or drastic failures in governance. Islam Karimov's Uzbekistan, a former US ally in the war in Afghanistan, characterized victims of the Andijan massacre of 2005 as “extremists”. Kyrgyzstan, in turn, has had its own recent “spate” of dubious terror attacks. Why does the headline say that “Ties between Islam, Extremism emerge”? No ties have “emerged” in Kyrgyzstan, and none emerge in you story, except in government press-releases. The government here has long tried to make this connection, off and on, for their own domestic and international political ends. At the moment it's politically favourable - so the stories go round again, and every violent crime is linked to “Islamic terrorism”. There has been no “recent spate of explosions” and the “massive bombing” in November was in fact a very small explosion in a drain that injured no-one and damaged nothing more than a stretch of tarmac. Two police got sore ears. And they probably made that up as well. Back in Washington D.C, however, “Islamic terrorism” had come to life again, ironically, through the death of its chief protagonist, Bin Laden. Kloop.kg President and blogger Bektour Iskender captured [ru] scenes of ecstasy at the White House in the American capital in a photo-post titled “I am just outside the White House where they are celebrating the murder of Bin Laden”. Note: Thanks to an atrocious piece of journalism, readers of the Kyrgyz news agenc y AkiPress [ru] may have come to the conclusion that there was photographic proof of Osama Bin Laden's death. In fact, the agency had re-posted a photo which originally appeared on an anti-Washington politics blog another world is possible in 2010. The agency neither cited the source of the photo, nor, more critically, the date the photo was originally posted. Kloop co-founder Rinat Tuhvatshin rails against the agency's amateurism here [ru]. The photo has since been proven as a fake. Top image: Graphic by Global Voices user Anxo Resúa.